We are a group of professional Mobile Notary Signing Agents that are dedicated to our business, and yours. When you contract a notary from our network you can rest assured that you are getting the best in the business, guaranteed. Donâ€™t waste your precious time searching for a notary only to end up with someone inexperienced, because of the luck of the draw. Let us lend you a professional hand; “Count on us to execute all of your signings with a precision born of nearly 50 years of combined experience”. Our California NSA Network members are selected by invitation only, and they must meet our stringent membership criteria. Membership cannot be bought! Our members are the most experienced, knowledgeable and skilled independent mobile closers from throughout the state of California, each providing direct services. We currently provide service in a growing number of counties in the state of California. We are working diligently on the statewide expansion of our network to enable us to provide service in every county in the state. 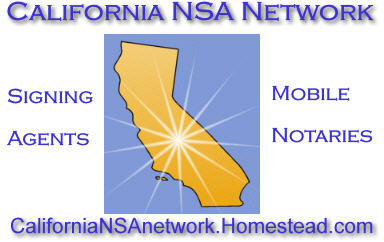 CA NSA network members have the combined experience of thousands and thousands of mobile closings of all types. We have both full-time and part-time mobile closers ready to assist you 7-days a week. 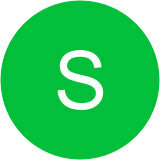 All members have E-doc capabilities, and same day and last minute appointments are accepted. The notary is often the only person your clients ever meet in person. Let the face they see, be the California NSA Network member that will handle your client and represent your company in the professional and confidential manner that you deserve. A notary Signing Agent is a Notary Public who is hired as an independent contractor by a â€œclosing agentâ€ to ensure that real estate loan documents are properly executed by the borrower, notarized, and returned for processing. The Notary Signing Agent is a commissioned Notary Public who will notarize all documents requiring it in a typical loan package. Since state law and lenders often require certain forms to be notarized, a valid Notary commission is essential for persons performing loan document signings. The definition further indicates that a Notary Signing Agent is â€œhired as an independent contractor by a closing agentâ€. A Notary Signing Agent is not an employee of the lender or title company but is in business independently. Typically, the Notary Signing Agent contracts with the lender or with a title or escrow company in the transaction to perform the signing.